Hmmm... it's been a little while since I've caught up with my blog. Not that there's not been plenty happening, I just haven't made the time to post anything about recent events over here. 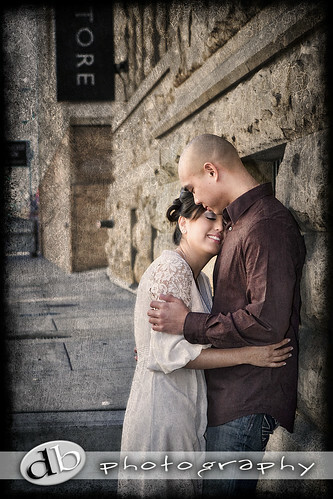 Well, let's start up again by posting a few photos from Jason & Diana's engagement session. 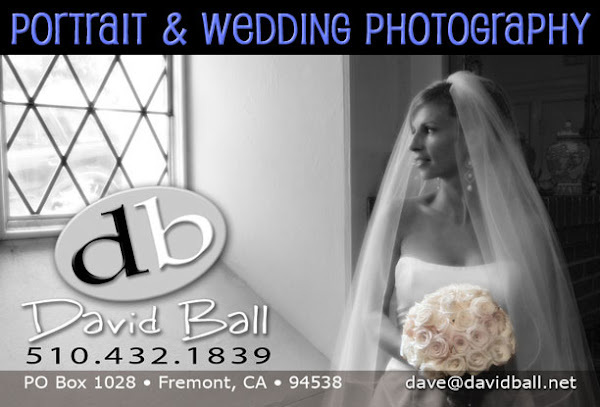 We met in the downtown San Jose area last Saturday and got a lot of great pix. I've only had time to work on a few and post them to my other blog and photo sites. But here they are HERE finally. First stop was the beautiful brick wall of the San Jose Museum of Art on the north side of the down town area. 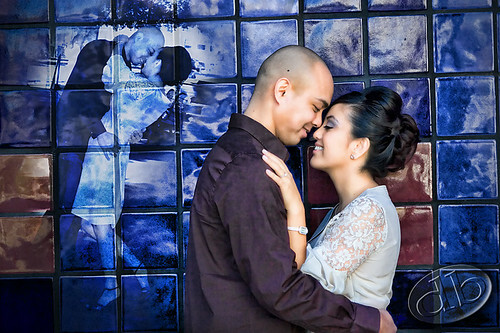 And towards the end of our session, we grabbed a few shots in front of the blue tiled walls of the Tech Museum. By the way, if you have a Facebook account, come join my group over there too. Here's the link. Lately I've been posting more updates over that way.